Israel's army announced Tuesday an investigation into soldiers who shot dead two Palestinian teenagers in separate incidents on the Gaza border, the first such probe in months of protests and clashes. 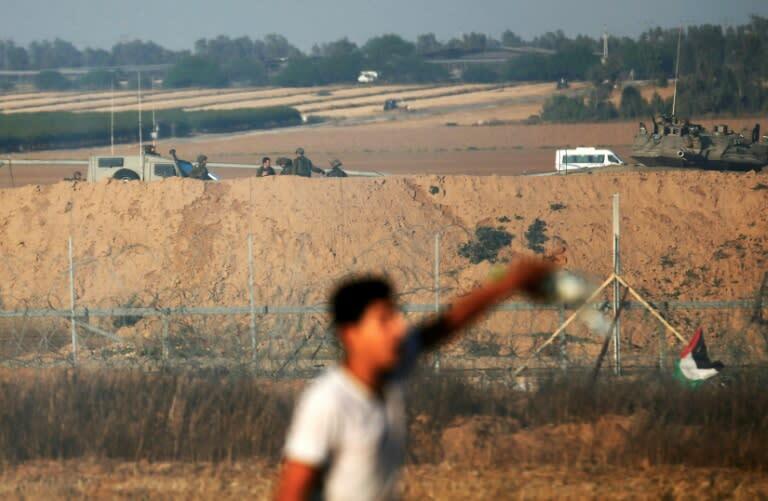 An army statement said that Abdul Fatah Abdul Nabi, 18, was shot dead near the border fence in the northern Gaza Strip on March 30, one of 20 Palestinians killed that day as Gazans launched a wave of mass protests along the frontier called the "March of Return". Tuesday's army statement did not give the circumstances of Nabi's death but the military said at the time that 10 of those killed had "documented terror backgrounds" in Islamist movement Hamas and other militant groups and were killed "whilst carrying out acts of terror." The army did not say what led the Military Advocate General to order the investigations into the two deaths, speaking only of "a suspicion that the shooting in these incidents was not in accordance with standard operating procedures." "Upon the completion of the investigations, the findings will be examined by the Military Advocate General," the army statement said. UN envoy Nickolay Mladenov and Egyptian officials have been seeking to broker a long-term truce between Israel and Gaza's Hamas rulers, which have fought three wars since 2008.